One of the questions readers of What’s in It For Me? Finding Ourselves in Biblical Narratives have asked concerns references to the Jewish High Holy Days in the chapter “What If I Don’t Believe in God.” In response to that question, this essay explains the meaning of that sacred season to Jews. Behold, it is the Day of Judgment. As a shepherd musters his sheep, causing them to pass under his staff, so do You cause every living soul to pass before You . . .
Who shall complete his years . . .
Who shall be poor and who shall be rich . . . But repentance, prayer, and deeds of kindness and compassion avert the severity of the decree! The prayer excerpt above, written by Kalonymous ben Meshullam in the eleventh century, starkly expresses the High Holy Day mood of impending judgment. During the Days of Awe (the ten-day period between Rosh Hashanah, the Jewish New Year, and Yom Kippur, the Day of Atonement), serious Jews strip away the veneer of our righteousness and prepare for God’s scrutiny. It is the culmination of an intense period of introspection and self-reflection in which we examine who we have been with an eye toward who we want to be. During the Days of Awe, we humbly acknowledge our shortcomings and resolve to improve in the year ahead. 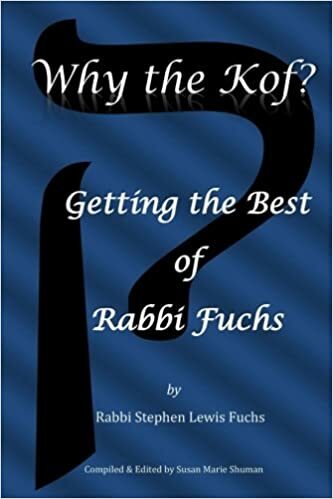 Although the language of the prayers clearly addresses our relationship with God, the significance of this period does not diminish for those Jews who find themselves unable to relate to God in a personal sense. The process of self-examination, contrition, and resolve can be as therapeutically valid for the atheist as for the Orthodox Jew and everyone whose religious beliefs fall somewhere in between. When Jews seek forgiveness for the shortcomings and wrongful acts, we do not ask for supernatural absolution for shortcoming inherent in our nature. The Hebrew word for “sin,” חטא, (chet) connotes an action that we regret, but which is within our power to correct. The Days of Awe provide us with a special opportunity—although certainly we should try to be aware of the impact of our actions all the time—to ponder, reconsider, and adjust our behavior in a positive direction. The sound of the shofar, noted Saadia Gaon in the tenth century, reminds us of the way just and merciful monarchs operate: First, they warn the people of their decrees; but if they do not heed the warning, violators are held accountable. The shofar is a spiritual warning to remind us of the way God wishes us to live our lives. Yom Kippur arrives ten days after Rosh Hashanah. On it, we observe a complete fast and spend the entire day in prayer and meditation. More than two thousand years ago, the philosopher Philo endorsed the Yom Kippur fast “because of the self-restraint which it entails.” The fast reminds Jews that true repentance (which leads to improved conduct) requires much self-control. Abstaining from all food and drink from sunset on the eve of the holy day until after dark the next day gives all of us an inkling of what it means to be really hungry. The experience reminds us of our obligation to alleviate hunger in whatever way we can wherever it exists. It also reminds us to cause no one to suffer privation through our actions. One of the wonderful innovations of modern Jewish life is that many synagogues conduct massive food drives. We bring the food from which we abstain—and them some—to the synagogue to distribute to local food banks. It was a great source of pride to me in my congregation in West Hartford to have two moving vans parked outside the synagogue on Yom Kippur and see them filled up with food. I hasten to note that no one should fast if doing so would cause a medical hardship. Such people are not only permitted to eat; they are commanded to do so. The most striking portion of the Day of Atonement liturgy is the chanting of the Kol Nidre prayer at the beginning of the service on Yom Kippur Eve. The haunting melody, to which the cantor sings an ancient Aramaic legal formula, symbolizes for many both the anguish and the hope of the Jewish experience. Leo Tolstoy once remarked, “The Kol Nidre is of all melodies the saddest, and yet the most uplifting.” The text of the prayer, which some consider nearly 1,500 years old, ask God to absolve us of rash vows we might have made or might make but be unable to fulfill. Many times in history, tyrants forced us to disavow our religion to save our lives. The Kol Nidre brought comfort and a feeling of absolution from those vows we made under duress. Anti-Semites jump on the prayer as an escape clause for Jews to get out of obligations we do not wish to meet. In a disputation before King Louis IX of France in 1240, Rabbi Yechiel of Paris successfully defended the Kol Nidre prayer against that charge by pointing out that Jewish law explicitly states that Yom Kippur rituals and prayers only cover transgressions against God. “For sins between one person and another, Yom Kippur does not affect atonement until the offender appeases the one that he or she wronged” (Mishnah Yoma 8:9). Jewish tradition acknowledges that attaining the humility, contrition, and resolve necessary for sincere repentance is no easy task. The Talmud accords the highest praise to one who successfully turns from his or her misdeeds, stating, “Where repentant sinners stand, even the thoroughly righteous cannot stand.” Maimonides commented that the reward for penitents is so great because they must exert even greater effort than the thoroughly righteous to avoid going astray. His father sent him a message, saying, “Come as far as you are able, and I will come the rest of the way to you.” (Midrash Pesikta Rabati, Shuvah Yisrael) The story suggests that atonement during the Days of Awe is neither an act of God’s unearned grace nor the result of humanity’s unilateral struggle. It is rather the wonderful product of a covenantal partnership that allows those who take the process seriously to enter the New Year feeling cleansed and renewed.